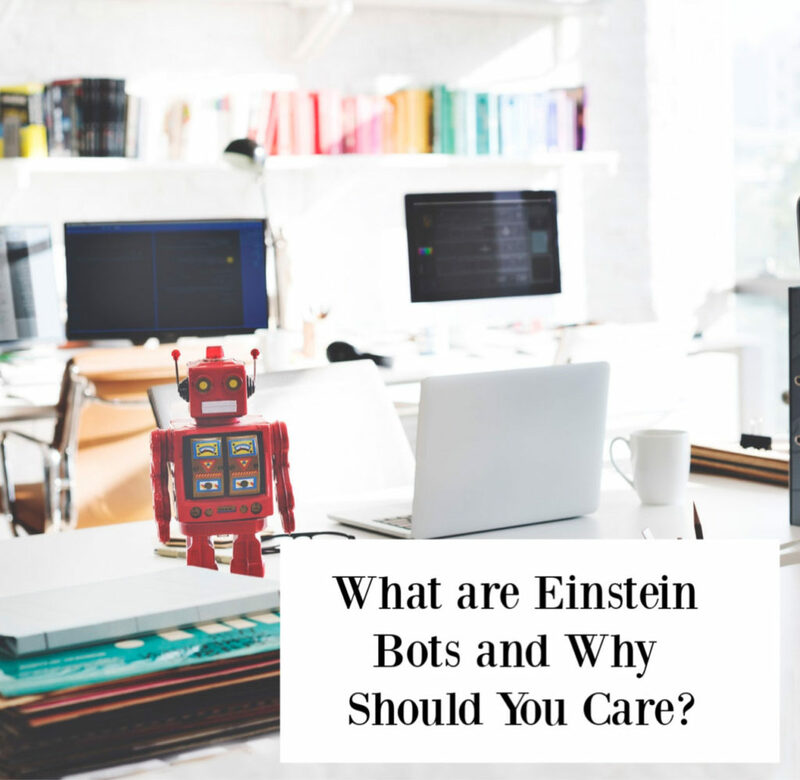 What are Einstein Bots and why should you care? You are here: Home / IT / What are Einstein Bots and why should you care? Yes. What exactly are they, Einstein bots? Generally speaking, a bot is an autonomous program on the internet that interacts with clients, users, or systems. Think of it as a computer chess player. A ‘person’ to learn a new language with, online. Or an online customer service rep (chatbot) to sort getting your faulty new shoes replaced. 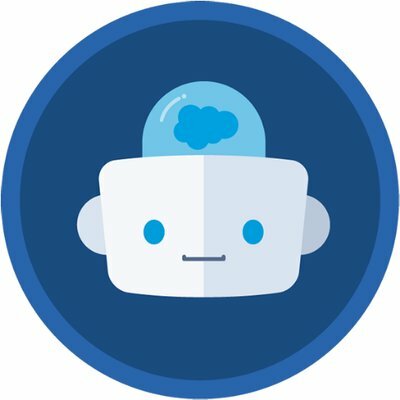 Salesforce Einstein bots are the latter variety: chatbots. They are part of Salesforce’s artificial intelligence. A chatbot is an application that simulates human conversation via text messages or even in spoken language. You might be thinking: who wants to talk to a computer instead of a real human being? Well, I do! Chatbots are made to be highly efficient. They don’t waste time. 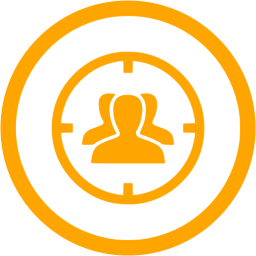 In the way they communicate with you, they get the mission critical info right onto the table. Without being too confrontational, they quickly bring the conversation to: what type of shoe you have, what’s your size, what’s the problem, when and where did you buy them, still have the receipt?, can you take a photo of the problem? In next to no time, he, eh… it… gets your problem sorted. The bot (and related artificial intelligence and automations) can compare the picture of your shoe with what that shoe is supposed to look like. Then, it can classify it as faulty, and you can have a new pair send to you. Quite likely, before the replacement shipping info is send to the warehouse, a Customer Service rep (a real person) might look your case over, via an approval process, and veto or approve the transaction. Can it get any faster? Barely so. If you have Salesforce Service Cloud, you are already halfway there. Enable and configure LiveMessage and Snap-in. Then get its Einstein Bots to work for you. The beauty of chatbots is that a customer service team can handle way more customers at the same time. Bots do a lot of their work and can (almost) completely solve their easiest cases. For the harder cases and more costly case resolutions, the human rep can still get involved. But resolution will be faster as he, eh.. or she will have all the required info already collected from the customer, thanks to the bot. So bots are great to chat with customers for customer service delivery. But they are also great to chat with prospects. None said that chatbots are solely for customer service. A great pre-sales experience can be had if customers can via conversational language ‘self-serve’ and get answers to their purchasing-related questions. 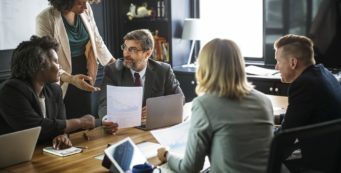 So that by the time they are talking to an actual sales rep, they are ready to purchase, and already feel connected to your company and products. I mean, reach for 5 stars. Honestly, the sky is the limit on how useful chatbots can be for your organisation. And you can really bring both your sales and service processes up from good to great. Salesforce is all about ‘clicks not code’ when it comes to software setup. It has made it relatively simple to configure your chatbots. However, that doesn’t mean that a second pair of eyes from someone who is highly experienced with customising Salesforce could not be super helpful in getting you up to speed fast. 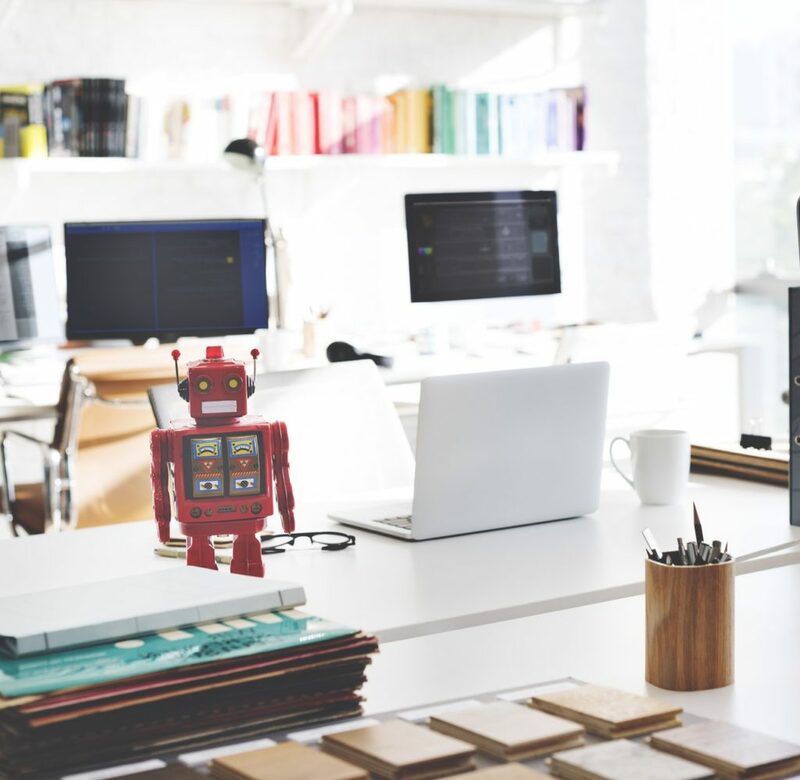 Often, some time is needed for your business departments to amend their business processes and create content assets to take advantage of new Salesforce technology such as chatbots. We at CloudAnalysts are experts at identifying what will work best for particular clients and veering them to the most -befitted path for success. Often that means, simple configurations to get started, and then a roadmap for further technological integration, data mapping, and what not. First we start with embedding best practices for conversation design into your basic bot idea. Then, we go up from there. There is no doubt about it that many businesses will rather soon start with chatbots. If you read this far into the article you are probably interested in adopting artificial intelligence for your organisation. What would you do like to your chatbot to do for you? If you have a clear picture of a goal you wish to accomplish, don’t hesitate to reach out to us to help you make it a reality. What? No Chatbot Goal just Yet? Why you should care about bots – Hint: they care for you. Not having a minimum artificial intelligence strategy is rather dangerous. If Gartner is right with that prediction, it means that your customers – in just a year from now – will start having conversations with your competitor, and not with you. So… the time to get started with #AI is … today.